Is US Netflix The Best Against The World? How Do They Compare? Is US Netflix the best? Netflix is now available all over the world. But as with all good things in life, there is a catch. Each Netflix version has a different collection of movies, TV series, and documentaries. In other words, the content of one version of Netflix could be completely different from the content of another version of Netflix. And how to see which Netflix versions are available in your region? Are you stuck with just one version of Netflix? Netflix originally started out in the US alone. Now the whole world has it. But that doesn’t mean the US has lost its streaming advantage. Why do we say that when we just mentioned that Netflix has launched worldwide? Well because the US version of Netflix if different from all others. To put it another way, the US version of Netflix has the biggest library. And by quite a margin. In fact, the US Netflix dwarfs all other versions of Netflix anywhere else on the planet in terms of quality and quantity of content. It doesn’t matter how much Netflix expands. The fact remains the same, that the US version of Netflix remains the king. But why can’t Netflix offer the same service to every country on earth? The short answer is that it’s because of copyright issues and other rights management problems. Therefore, Netflix can’t stream all of its content to all regions. Reed Hastings, who is the current Chief Executive at Netflix, told reporters at CES 2016 that Netflix had made a significant policy change. He announced that Netflix would no longer offer its streaming services in some regions of the world. In other words, Netflix isn’t really a global streaming service. then you can’t watch Netflix. Netflix has done that to conform with the demands of the US government who has trade restrictions against the above-mentioned countries. You want to watch the best that is out there. Not what’s given to you by Netflix. We have carefully researched all available version of Netflix and the related libraries and have come up with a special list. This list is actually an extract. An extract of the exact number of movies and TV series that are available on Netflix for each new territory. You can dream all you want, but Netflix simply does not offer a single global content library to all its users. It discriminates, a little bit, amongst different territories around the world. So are we just going to sit there and not watch the highest quality of content that Netflix has to offer? But first, you should know that there is a big variance across different locations when it comes to number of titles that are available on Netflix. How does Netflix know what to offer to which user? It does that via your IP address. 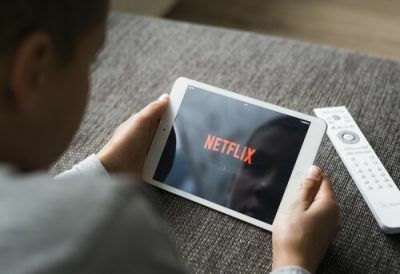 Basically, it recognizes a user’s IP address and then serves that user the version of Netflix that is predetermined for that IP address and location. Of course, Netflix isn’t only about numbers. Sometimes you just want to watch something of high quality rather than multiple forms of mediocre content. That, of course, that does change the fact that Netflix will always make it difficult for users to watch what they want to watch. Netflix doesn’t hold broadcasting rights of its content for all regions. Each territory has its own Netflix library. Netflix versions such as Netflix Originals series isn’t immune from this problem either. For example, if you live in Hong Kong, you can’t stream House of Cards via Netflix. Because Netflix has already sold broadcasting rights to another channel for the region. We want to give you the complete picture when it comes to sheer numbers. And that’s why we have used every bit of data we could find on the internet and then we compiled it. 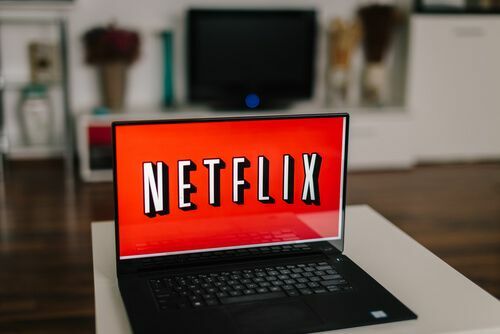 We used data for each and every available version of Netflix that is available for all territories as far as Netflix’s movies and TV series offerings are concerned. Of course, you have to assume that we only looked at offering where there was available data. For the ease of the users, the below-mentioned table is sortable. That is, you can sort each column out depending on what you like in movies and TV series. The table will adjust itself according to the taste of the user. Users can also see which country compares best to the big fish that is the US Netflix library. The picture isn’t that clear. But generally speaking, US Netflix territories tend to score the highest numbers when compared to the US Netflix itself. If we only consider movies offerings, then the leaders might surprise you. Martinique and Equatorial Guinea certainly give the US Netflix a good run for its money when it comes to movies. There are two in fact. Our Netflix research tells us that the two countries you want to avoid when it comes to accessing Netflix globally are Albania and Morocco. The total number of TV titles on offer in both these countries does not even hit 50. Morocco particularly has the worst Netflix Library anywhere on earth. It has the lowest number of available Netflix movies from the countries we have studied so far. USA Netflix has the most titles but surprisingly they also don’t have access to everything. Believe it or not, but there are some pieces of Netflix content that even the US version doesn’t get to have. The UK Netflix has plenty of shows that are not shown on the US version of Netflix. It is true that the US version of Netflix has tons of movies and TV shows. But the UK Netflix isn’t just sitting there waiting for US Netflix to increase its lead without a fight. All of this raises the question, can UK Netflix compete with US Netflix in terms of quality of movies? You’re going to have to decide for yourself by looking at each Netflix’s library. Do keep in mind that the catalog for US and UK Netflix does get updated regularly. The US Netflix has around 7437 movies plus TV series. While the UK Netflix has around 5412 movies plus TV series. As mentioned before, Netflix keeps adding and removing movies and TV series and hence the total number at any given time is supposed to change from the numbers we have given you. For example, hit movies like IP Man (one, two and three) are available both in the US and the UK Netflix. But the movies IP Man: The Final Fight is only available on US Netflix. The hugely popular comedy/drama Hustle is only available on UK Netflix and not on US Netflix. Movies like Eat Pray Love are also available only on UK Netflix. And perhaps the biggest advantage that the UK Netflix has over the US Netflix is the presence of Doctor Who. You can watch each and every episode of Doctor Who on UK Netflix. And you can watch none of it on the US Netflix. Some broadcasting networks such as AMC network shows TV series that never get added to the US Netflix library. We use “never” as a relative term here. In actuality, those “UK shows” do get added but only after a couple of months have passed. Which is like an eternity in the age of the internet. Moreover, those same shows that get aired months later on US Netflix, get aired on UK Netflix the same day they get aired on UK Netflix. So don’t listen to people who tell you that when it comes to on-demand content, the US Netflix is way better than UK version. The US Netflix indeed has the greatest number of greatest shows. But the UK version has its own advantages. If you’re a fan of shows such as Breaking Bad, then the UK version is certainly better than US Netflix. Because back when Breaking Bad was still an ongoing series, the UK version made Breaking Bad Season 5 available way earlier than the US Netflix. There are plenty of other shows that air of UK Netflix earlier than the US Netflix. Shows such as Dexter don’t even exist on US Netflix. The UK version has all its six seasons. So what are we getting at here? The bottom line is that broadcasting rights differ from territory to territory. Sometimes, the US Netflix gets a show earlier while sometimes the UK Netflix gets it first. You Don’t Need To Worry If You Can’t Access US Netflix or Even The UK One. Here Is Why. There is an online service called VPN. A VPN service allows you to unlock each and every single show that is available on Netflix. The version of Netflix doesn’t matter. Because, with a VPN service you can easily change your location. Remember when we told you that Netflix uses your IP address in order to figure out where you are from? A VPN service changes that IP address. It changes it to the country of your choice. So if there is a show that is only available on US Netflix, then you can simply sign up for a VPN service and then change your location to the US and then sign up for Netflix and start watching your favorite show. But a VPN service does a lot more than just unlock Netflix and all it has to offer. A VPN service can protect your online traffic too. It can do that for all of your devices. Most of the elite VPN services have refund policies too. So if you don’t like a particular VPN’s service, you can easily cancel your subscription and get your money back. A VPN service also hides your activity from your ISPs. No ISPs in the US or anywhere else will be able to collect your data and then sell it if you’re using a VPN service. Moreover, VPN services keep you safe from hackers by encrypting your internet traffic and rerouting it through one of their own VPN servers. As a result, you become harder to track and hence harder to hack. Perhaps, the biggest advantage of using a VPN service comes when you are traveling. Let’s say you live in the US and have a US Netflix subscription. Now, let’s also assume that you will travel to the UK for a period of two months. Did you know that while in the UK you won’t be able to access the US Netflix? Who could have thought right? But that is indeed the case. A VPN service can unlock the US Netflix for you while you’re in the UK. So when you are traveling, a VPN service will allow you to watch your own version of Netflix regardless of your location. But since there are so many VPN service providers in the market which one should you sign up for? The VPN that we recommend for the above-mentioned purposes is NordVPN. VPN services encrypt your traffic and hence hackers can’t harm you. With a VPN service, you can bypass all blockades and content restrictions on Netflix. All of that sounds great, doesn’t it? If that is the case, then now is the perfect time to mention that using a VPN service with Netflix is not legal. So make sure you don’t get into trouble with the law by using a VPN service with Netflix. Check your local laws and then continue forwards to your streaming heaven. Again, if you want to watch any and every version of Netflix, then NordVPN is the VPN service that will do the job for you.